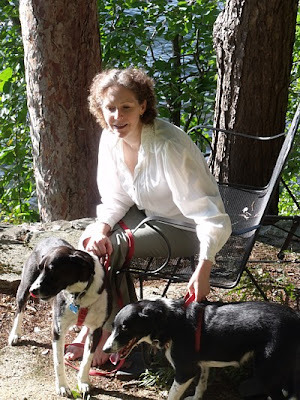 During this busy summer, the lack of time and the necessity of devoting my attention to projects connected with my other pen name prevented my blogging here. So, in a deviation from the historical focus, I present illustrations of things I've done--in addition to travelling, writing, editing, and planning more travel. 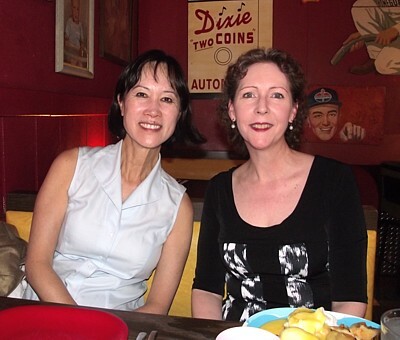 A recent meet-up with my good friend Tess Gerritsen. She and I and our husbands spent time together when her book tour brought her into our territory. 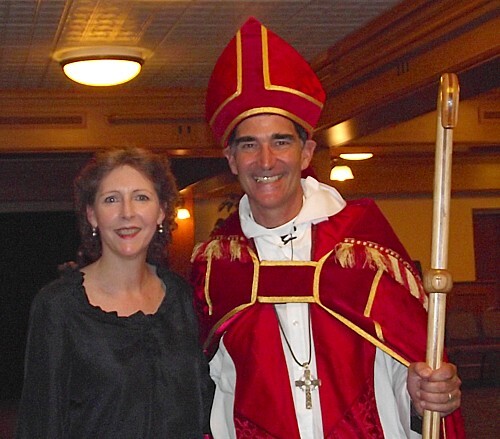 As vice chair of the committee charged with presenting candidates for diocesan bishop, I rejoiced on the day of his consecration--the culmination of my year and a half of work. From May until now, the primary setting for my writing and editing work has been our lake cottage. The dogs are very patient while I'm busy on the laptop, and we all enjoy our woodland walks. Currently I'm planning the next UK trip. I look forward to visiting my novel's heroine, whose portrait graces the exhibition now on view at Hampton Court Palace. In London I'll be researching--and writing--the next novel, and meeting up with other historical novelists. Photos to come!